You must buy a minimum of 12 and in additional increments of 12 due to manufacturer packaging. 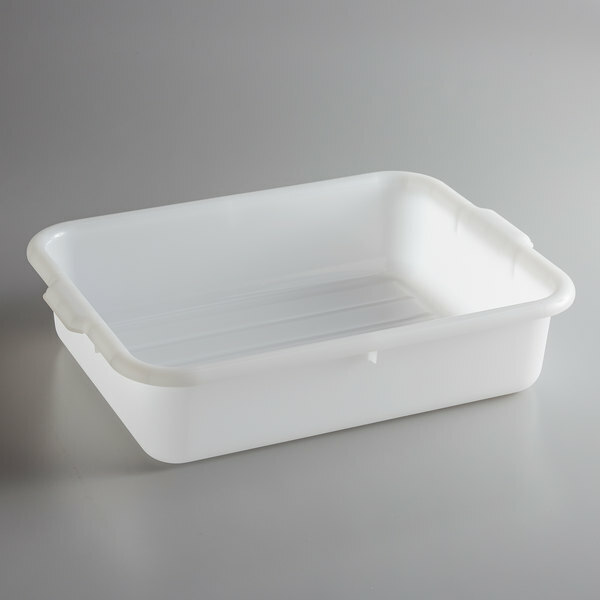 21" x 16" x 5"
This Tablecraft F1529 bus box is an efficient and durable solution for storing meats, fruits, vegetables, and more. It's freezer safe for temperatures as low as -30 degrees Fahrenheit to keep your foods fresh. Made of high density polyethylene with the ability to hold up to 50 lb., this bus box is built to last. Its classic design in white is easy to clean and features reinforced handles for easy transporting. It has FDA approved material and is a great addition to your cafeteria or restaurant!